YOU BETTER LIKE THE COLOR, BECAUSE ONCE YOU PUT IT ON, YOU MIGHT NOT EVER TAKE IT OFF. We'll replace it free of charge. Just what do we mean by general wear? General wear is the natural breakdown of materials and fibers over a long period of use. 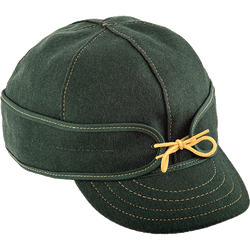 Things like slight fraying, color fading and stains are signs of a well-loved Stormy Kromer with lots of character and is generally not considered defective. 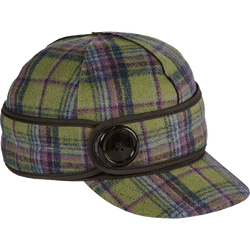 Remember to buy your cap from an authorized Stormy Kromer retailer, our website, or our factory store in Ironwood, Michigan for this policy to apply. For a speedy start to the warranty process, please complete this form and email it to us at info@stormykromer.com. If you need further assistance, you can always call us at 888-455-2253. 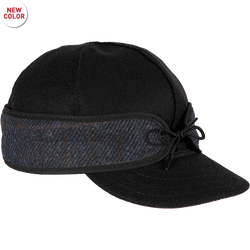 Already own a Stormy Kromer? Be sure you've registered it to also take advantage of our No-Charge Insurance Policy.